During extreme weather, we often run for cover and protect ourselves from any calamities. Storms are among nature’s catastrophes that have us take measures to be safe when they hit. While it is common sense to take cover during stormy weather, we sometimes forget that trees too need care and protection when storms strike. Trees are beautiful and have tons of benefits around the compound, so it is essential to take care of them like we take care of everything else around the home. As you prepare to protect trees when storms hit, make sure you seek professional advice from an arborist. 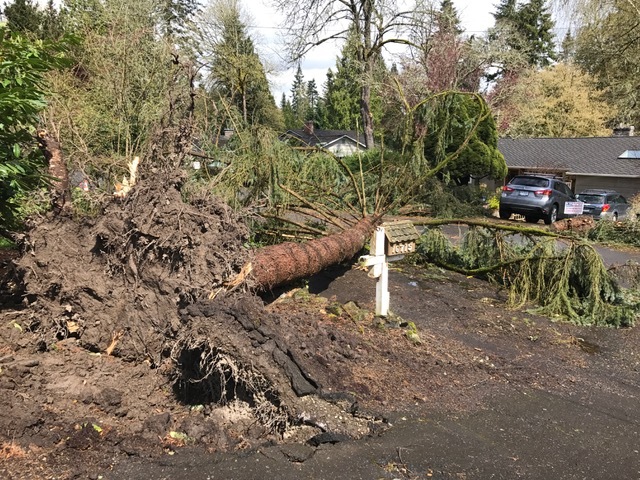 In this article, I will share with you tips for tree services before and after storms. PRUNING: Prune and get rid of branches that are likely to cause a hazard. Check the damaged and diseased limbs. Take a thorough look at your gutter and ensure that all debris and dirt is discarded. When pruning, cut off the tiny branches at the point where they join the bigger branches. Make a habit of pruning when the tree is still young, so the tree grows with a good shape; having the center of gravity over the trunk. This way, the crown will allow the wind to pass through and not catch it. SOUND STRUCTURE: Different species of trees have different sound structure. Check if your tree has a definite sound structure to know what measure to take before the storm. TREE INSPECTION: Get a professional to look at your trees, as with no training, you may miss out on essential factors. Arborists know how to identify hazardous trees easily. They also help with management during storms and show you how to care for your trees properly. 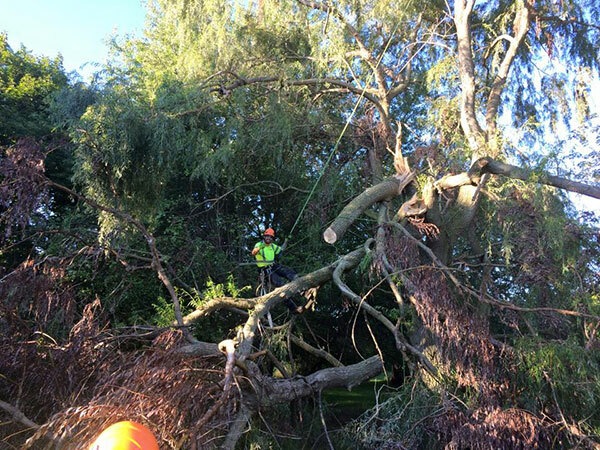 A professional arborist will tell you which treatment is best for your trees during storms and extreme weather. SEEK FOR ASSISTANCE: You will not lose anything by getting an extra pair of hands. Don’t do everything on your own. Huge limbs and uprooted trees are dangerous and may not be handled by a chainsaw. Look out if tree branches are in contact with utility lines and inform authorities. Don’t try to save the day if you are not sure of how things should be done. LOOK OUT FOR BIRDS: After a storm, look out for birds and bees which probably took cover. It is important that you consider the animals as they too need care. ASSESS DAMAGE: Extensive storms cause some trees to lean. A tree leaning means its roots have been severely destroyed. Small trees can be straightened, but huge trees are difficult to straighten. Evaluate the damage to know whether the tree needs treatment or uprooting. Take proper care of the tree to avoid more damage in future storms. During the dry season, always keep watering and keep an eye on the trees. Apply mulch around every once in a while and observe if the trees look stressed. Remove weak branches and those that have been damaged by insects to avoid accidents. Trees make the compound attractive and should never be cut down without any reason unless they pose a danger to life. See Jacksonville Tree Service for more information. Copyrights © 2018 antongeological.com. All rights reserved.